The first caravan of Hondurans, which has now reached Tijuana, sparked a movement, as thousands of migrants and asylum seekers follow their lead. After a long, grueling journey, the first groups of Honduran migrants and asylum seekers began arriving in Tijuana on Nov. 14 in hopes of finding asylum and opportunity in the United States. Thousands more follow closely behind. Having left San Pedro Sula on Oct. 13, the thousands of men, women and children from Honduras braved the elements for over a month to reach the United States in hope of escaping violence, poverty and state repression. The first caravan sparked a movement. Small groups of migrants formed across Honduras and El Salvador in the weeks following the first caravan. Now at least four caravans are en route towards the United States in hope of finding new opportunities in the north. 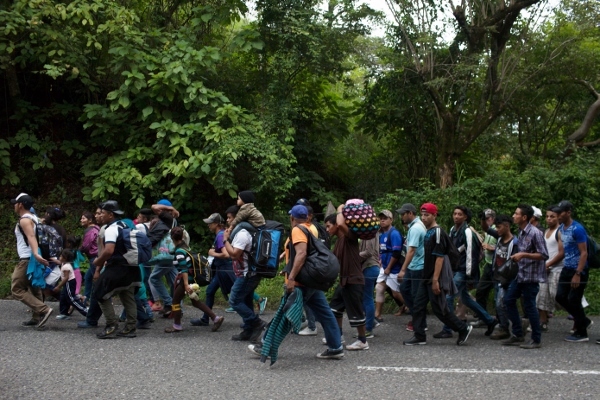 The second caravan grew to nearly 1,500 migrants and refugees by the time it reached the Guatemala town of Esquipulas on Oct. 21. Cesar Isaguirre, a single father who is originally from Choluteca, Honduras, walked in front of the second caravan. Isaguirre sang “JOH Es Pa’ Fuera Que Vas” — which translates to “Juan Orlando Hernández you are going out” — a popular song written by Honduran singer Macario Mejia that gained popularity in the lead up to the illegal re-election of the Honduran president in 2017, with others echoing the lyrics. As the second caravan reached the Mexican border, two more caravans of Salvadorans quickly set out from El Salvador in the hopes of reaching the United States. These caravans grew as they crossed Guatemala and Mexico, reaching nearly 2,000 people in each caravan, according to La Jornada. The caravan of migrants has become a new phenomenon in the mass migration of people from the region. The large groups provide a means of security for the people as they seek to reach the United States. The caravans largely formed via social media, namely Facebook and WhatsApp. Members coordinated ahead to determine the date for leaving via these platforms. Other groups are still organizing future caravans from the region, including another from El Salvador, which is set to leave on Nov. 17. Hondurans have faced a situation that has grown increasingly dangerous since the U.S.-backed coup d’état against President Manuel Zelaya in 2009. A far-right wing government assumed power following the coup and quickly began to set in motion polices that favored investment by transnational companies over social programs. Hondurans have seen the costs of common goods and services steadily rise as a result of the privatization. Basic services — such as energy, health care and education — have become nearly unobtainable for many. Communities have faced increased violence from gangs and from the state as the right-wing Partido Nacional concentrated power. By 2012, Honduras was widely seen as one of the most dangerous countries in the world. This violence especially affected the youth. 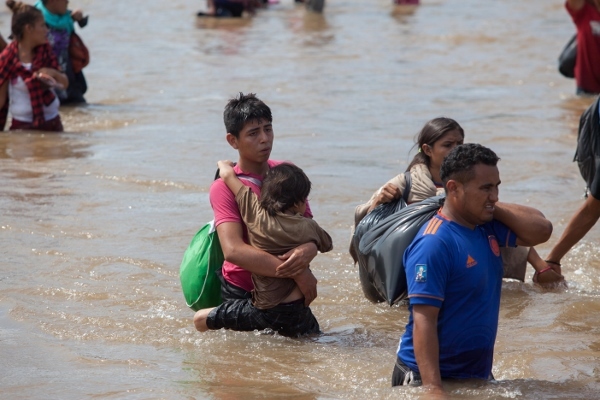 As the situation deteriorated, the number of Hondurans seeking to migrate began to go up. In 2015, the United States and the governments of Central America proposed the Alliance for Prosperity as a means to resolve the migration of people from across the region. The plan focused heavily on promoting investment and militarization and, according to analysts, did little to address the causes of migration from the region. For many on the caravan, the financial aid sent to the region has done little to benefit their lives. The situation grew even worse following the re-election of Juan Orlando Hernández in November 2017. The election was widely seen as fraudulent, and Hondurans mobilized to protest the theft of the presidency from opposition candidate Salvador Nasralla. Among the key frustrations driving so many to leave the region is the crisis in quality employment. For those lucky enough to find work, they face poor conditions and poor pay. Little opportunity exists for those over 35 years old. Many Guatemalans joined the caravans as they passed through the country. They are seeking the same opportunities that have motivated many Hondurans. Other Guatemalans who joined the second caravan echoed Paz. The Trump administration has viewed the caravans as a threat to national security and ordered the deployment of thousands of troops to the U.S. border with Mexico. Yet this is not the only obstacle the caravans have had to overcome as they progress through Guatemala and Mexico. 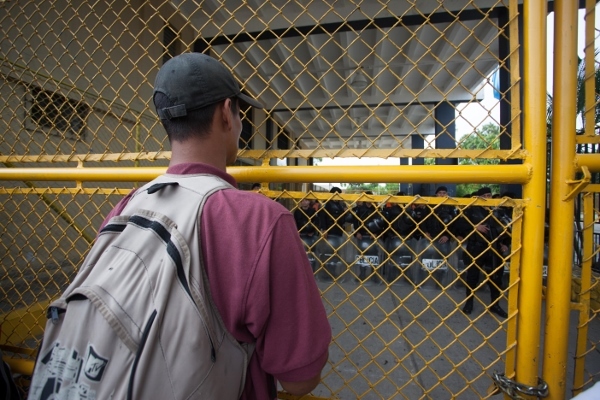 The caravans of Central Americans have faced an intensification of border security, with police and military being deployed to the border between Guatemala and Honduras, as well as to the Mexican border to stop the groups from leaving. Following the first caravan, Donald Trump ordered the governments of Central America to do everything they could to stop the caravan from advancing. Police and immigration check points dotted the highways to discourage the migrants from taking buses. Some small groups successfully reached the Guatemalan border town of Tecun Uman by bus. Mexican marines patrolled the river and a Mexican federal police helicopter periodically circled overhead. Their presence, along with that of Guatemalan police and military, only added to tensions between the migrants and officials. The militarization of the borders is part of what has been called the 21st century border, which was developed as the 2008 Merida Initiative. The plan escalated the war on organized crime in Mexico and led to greater control of the southern border by the government. In 2014, Mexican President Enrique Peña Nieto announced the formation of the Southern Border Program, which further intensified border security in southern Mexico. These measures led to the rapid increase in the detention of migrants seeking to reach the United States. The caravans of migrants and asylum seekers have faced this intensified border as they attempt to reach the United States. On Oct. 28, these tensions erupted when migrants broke down the gate blocking the entrance into Mexico. Guatemalan police responded with tear gas, but the caravan pushed through the police line. Hours later, another clash with Mexican federal police began when the second caravan of Hondurans attempted to pass the gate blocking their way into Mexico. A small group of young Hondurans threw rocks at police, who responded with tear gas and rubber bullets. Immigration officials had promised to open the way for asylum seekers, but repeatedly failed to provide the means. During the clash, Henry Diaz, a 26-year-old migrant from Tegucigalpa, Honduras, was killed when a rubber bullet struck him in the head. Mexican federal officials stated that the police had no weapons, but journalists and migrants at the scene contested this. The following day the caravan was forced to cross the Suchiate River. The mass exodus of people from Central America has brought the crisis in the region to the forefront of the conversation in the United States. The thousands of people fleeing the region are a testament to the impacts of the U.S. foreign policy in the region.